The late Mike Lowry was the first — and only — prominent politician to endorse me in my first campaign. I ended up winning a nail-biter — which would not have happened without Gov. Lowry’s willingness to play the maverick. FIFTEEN years ago, I was an unknown, first-time candidate running for the King County Council — and I had a problem. I was taking on a 20-year incumbent. Not surprisingly, the political establishment was lining up behind my opponent — a member of my own party — who was attacking me as too conservative for my northeast Seattle district. I needed a validator — a high-profile Democrat to assure voters they could take a chance on an outsider. 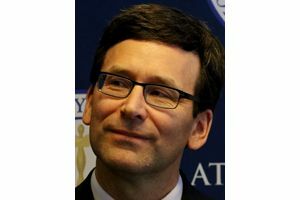 Bob Ferguson has been Washington’s attorney general since 2013. Previously, he served for 10 years on the King County Council. To my surprise, former Gov. Mike Lowry agreed to discuss my campaign. At a Renton Denny’s we had a spirited, wide-ranging conversation and he offered to endorse me. I braced myself, but should not have worried. Lowry’s one condition? I could not use his name or image on a negative ad. To this day, he is the only elected official to make that request. After Gov. 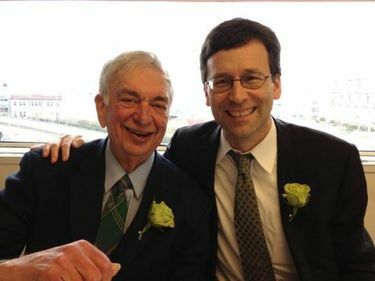 Lowry’s untimely passing on Monday, I found an old column from The Seattle Times’ Ross Anderson, who covered Lowry’s career from the King County Council to the governor’s mansion. On Lowry’s inauguration in 1993, Anderson assured his readers that Lowry hadn’t changed. “He remains the same earthy, irascible character, with the same ideals, the same blunt candor and the same self-deprecating sense of humor,” Anderson wrote. Those qualities were fully on display the first time I saw Lowry speak. Many attendees disagreed with him on a key issue … strongly. Despite the disagreement, Lowry did not sidestep the issue, change the subject, or give political answers. Instead, Lowry confronted the issue directly and tried to persuade his audience. I remember admiring that. Another newspaper account describes his “determinedly proletarian profile.” The article mentions that, as governor, Lowry cut his own salary by $31,000 and bought his own groceries. I chuckled at that, remembering a story from my Uncle Bill, a Jesuit priest, who ran into the governor late one evening at an Olympia grocery store. Lowry was also before his time. He sponsored marriage equality legislation as governor long before it was popular. He supported a ban on the sale of assault weapons — something we are still fighting for today. Lowry’s leadership made him a hero for many, and his annual shrimp feed was Washington’s pre-eminent grass roots political event. After he retired from politics, I asked Gov. Lowry’s permission to continue his tradition. He attended my shrimp feed every year, always early, always in a suit and tie. Mike Lowry was the first — and only — prominent politician to endorse me in that first campaign. I ended up winning a nail-biter — which would not have happened without Gov. Lowry’s willingness to play the maverick. As long as I have been in public life, a Mike Lowry yard sign has hung in my office. It always will.